Work smarter not harder; that’s a phrase a boss of mine always used to say and it actually applies to a lot of life’s situations. 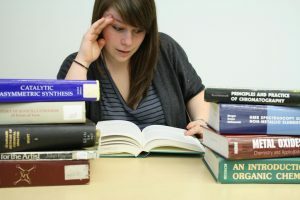 Studying is something that can feel really overwhelming if you don’t know how to effectively do it. Take it from someone who’s been in college for three years now, you do NOT need to stay up all night to succeed academically. Showing up to class and paying attention in lecture is vital. Just by showing up and paying attention in lecture can make your life ten times easier. If you go to class you can see what the professor seems to really emphasize and stress. Things that your professor spends a lot of time on are probably going to be on your test, so you’ll know that you need to study it later on. If your professor gives you a study guide, BE THANKFUL, you’re basically being handed a guide that tells you how to get an A. However, if you don’t get a study guide looking back at your lecture notes and focuses on those key sections will really help. Don’t spend time studying things you won’t need to know. Also, when it comes to readings, it’s best to read through all required readings at least once. Still if you’re really crunched for time you can thoroughly read the abstract, and the first and last sentence of each paragraph, and make sure to pay attention to anything that’s in bold. If you follow these tips and your work load will be smaller and you may be able to get some actual sleep. Happy studying!